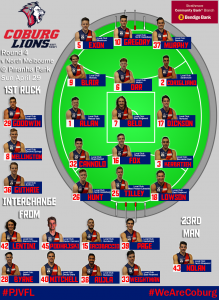 Exon to Play Game 50 and Nolan to Debut in Round 4! Ryan Exon will suit up to play his 50th game this weekend, while a young gun is set to miss round 4 when Coburg go up against North Melbourne on Sunday. Exon will be looking to put in another strong performance in our backline this week, after bringing huge efforts week in and week out this season. After making his debut last week, Jay O’Donoghue suffered an unfortunate set back at training with some bruising to his sternum, which will leave him on the sidelines this weekend. Instead, Coburg will hand a senior guernsey to key defender Harry Nolan, who will make his debut this week as 23rd man after his tremendous efforts for North Ringwood in the Eastern Football League. Captain Tom Goodwin will be making his return to the senior squad, after spending a week out with a concussion sustained against Footscray in round two, hoping to bring more confidence and leadership to the playing group heading into game-day. Mark Orr has also retained his place in the line-up after playing his first senior game of the season last weekend against Box Hill, while Sam Lowson and Hish Kerbatieh look to follow up their dominant performances last week, kicking four and five goals respectively. 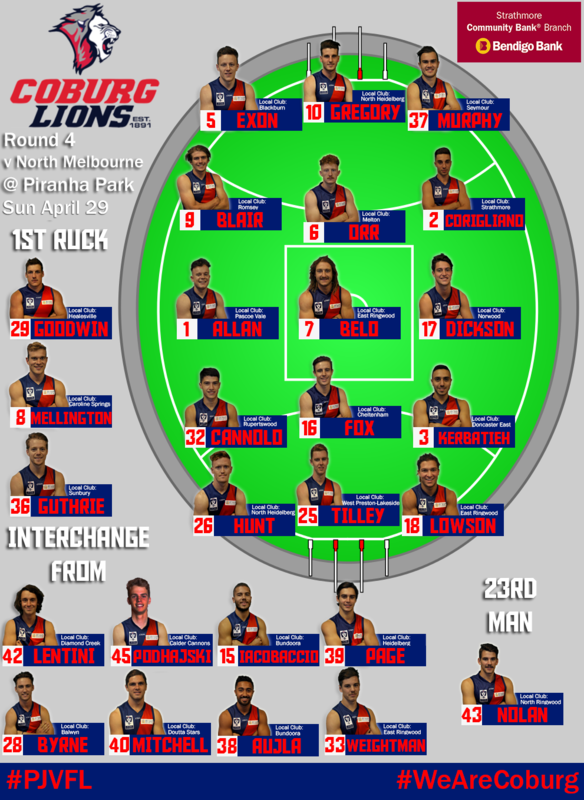 Having been named on the extended bench, Damon Aujla and Josh Weightman may potentially play their first senior games of the season, while Josh Iacobaccio, Lachy Mitchell, Jake Page, Connor Byrne and Mitch Podhajski all loom as possible interchange options. For the full team, check out the graphic below! 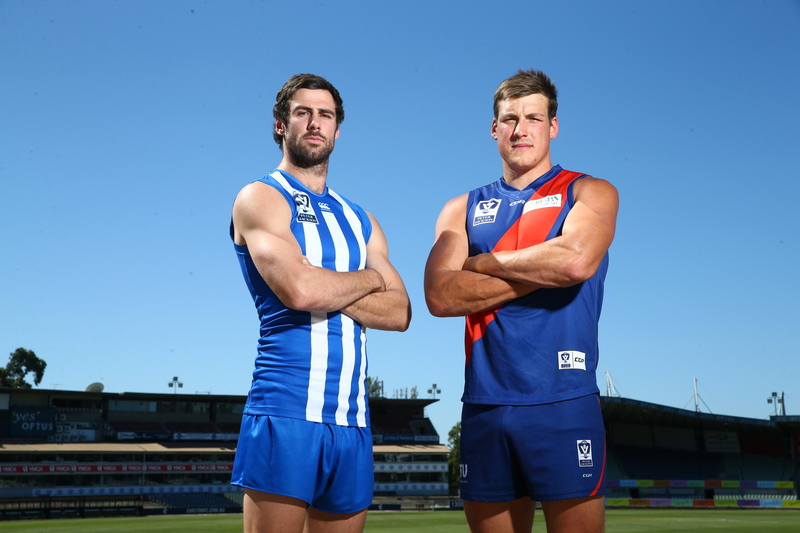 Exon To Reach 50 Senior VFL Games on Sunday!